Another record-breaking month at Dockwa HQ as a whopping seventeen marinas join the family! From the Puget Sound to Solomons, MD, we can't wait for you to explore new marinas and start drafting your floatplans on Dockwa. And if any of these docks look familiar? If you've stayed at a marina on Dockwa (or not on Dockwa, for that matter), writing a marina review helps your fellow boaters and help marinas know what you love about them and where they can improve. 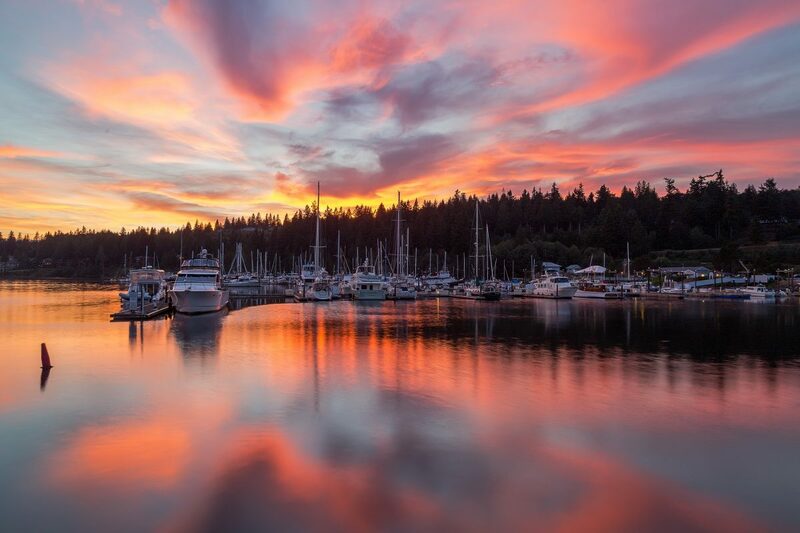 A warm welcome goes to Port Ludlow Marina at The Resort at Port Ludlow in – you guessed it – Port Ludlow, Washington! Twenty-seven miles NNW of Seattle as the crow flies (but more like 33 miles to get around Hansville), this location has 300 slips and can accommodate vessels up to 200' and all the bells and whistles of a marina-meets-resort. PNW boaters, be sure to check out the marina that Marinas.com boaters call "a yacht haven in every sense of the word." Moody Gardens Marina, Galveston, TX – Located on Offatts Bayou, southeast of Houston on the southern coast of Galveston Bay, Moody Gardens Marina's 18 slips are available year-round. Legendary Landings, Fort Walton Beach, FL – 33 miles east of Pensacola as the crow flies, Legendary Landings is the best of both worlds, with easy access to the Gulf while keeping you safe on the Intracoastal. Harbortown Marina (pictured), Merritt Island, FL – Sometimes you can tell a lot about a marina just by how much information they proactively provide. Click through to see their extensive amenities and detailed approach information. Teach's Lair, Hatteras, NC – Fishing's the thing at Teach's Lair, but this is also a perfect stop for Carolina cruisers and snowbirds. Pungo Creek Marina, Belhaven, NC – Pungo Creek Marina isn't one to brag, but they've got a great spot on Pungo Creek just off the Pamlico River, just 2 miles as the crow flies (so more like 3 to get your boat around Pungo Point) from Belhaven. 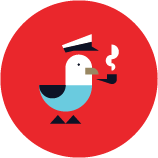 One boater's review: "Great experience. Staff friendly and professional. Nice to have another place to get gas in this area. Will visit again on our way back through the area." 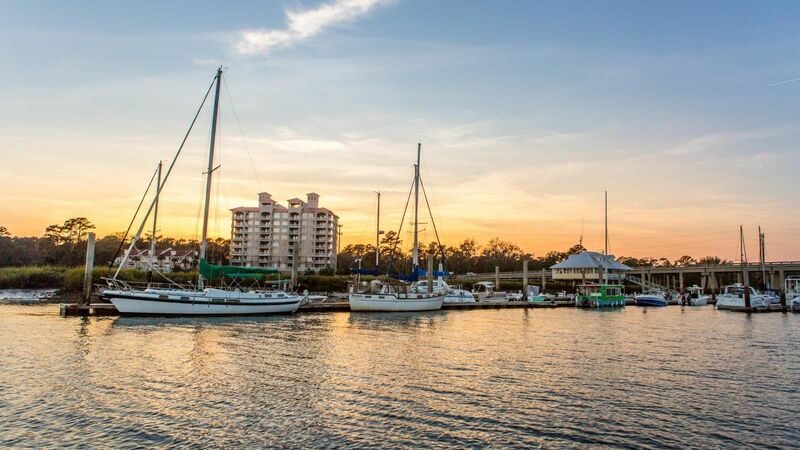 Bull River Marina, Savannah, GA (pictured) – Savannah marinas have a special flair for hospitality, and Bull River is no exception. Recently remodeled and locally owned and operated, this location combines quiet scenery with convenient access to town and local attractions. Captain John's Crabhouse & Marina, Newburg, MD – I love family-run marinas and crabhouses. So welcoming Captain John's on board is doubly fun. Snag your slip and stick around for the steamed crabs (and full menu). 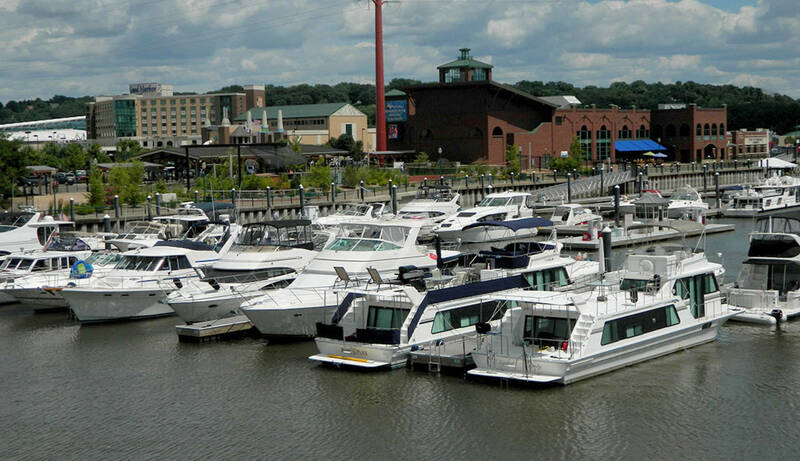 Deckelman's Long Cove Marina, Rock Hall, MD – Another family-owned business, this time right in the heart of Rock Hall! Not just a pretty face, Deckelman's has a repair shop, prop shop, gas & diesel year-round, the whole nine yards. 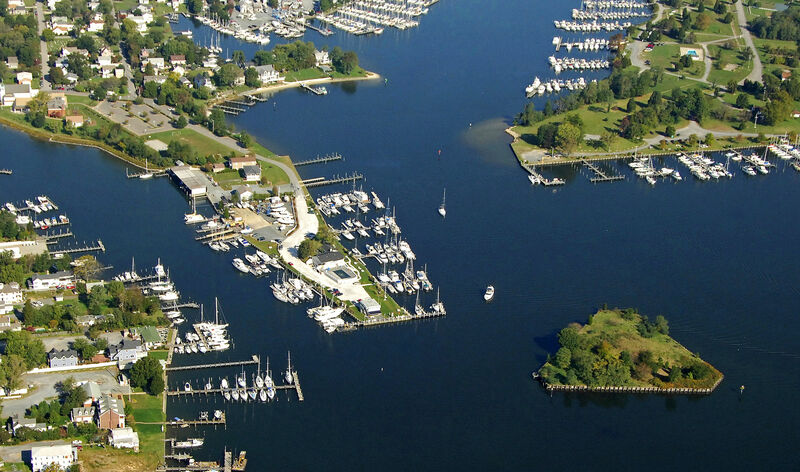 Solomons Yachting Center, Solomons, MD (pictured) – This marina is a beaut! 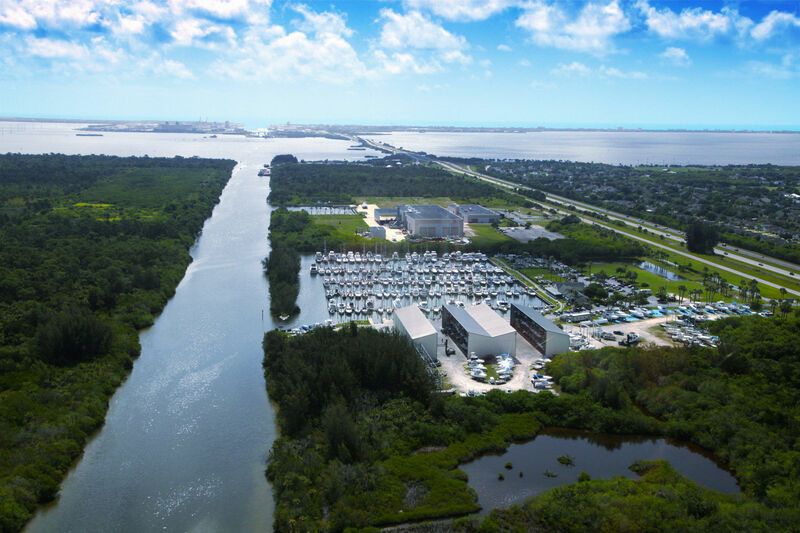 State-of-the-art floating docks aside, the location is well-protected, the facilities and amenities are fantastic, and the proximity to an adventure downtown is ideal. Sheltered Cove Marina, Tuckerton, NJ – Situated on 22 acres of land near the mouth of Tuckerton Creek leading into Little Egg Harbor, SCM offers an excellent guest experience, bridge-free ocean access and miles of back bay waters to explore. 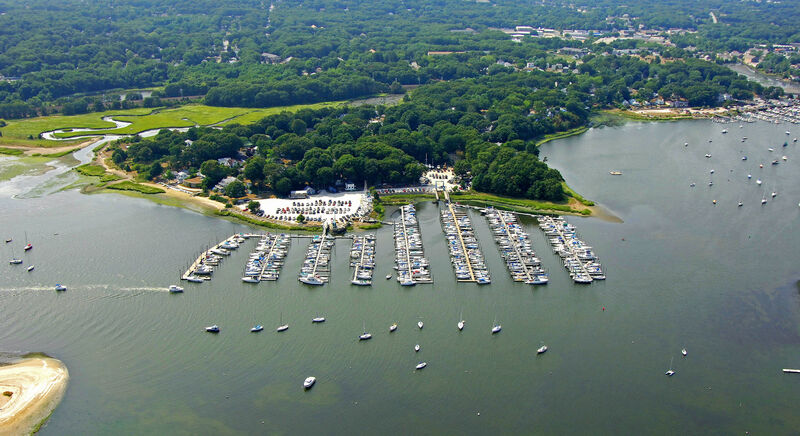 Apponaug Harbor Marina, Warwick, RI (pictured) – Warwick is a perfect jumping off point to make your way to Newport (17 miles), Block Island (32 miles), and the Vineyard) (44 miles), but also has plenty of charm of its own to offer right in Greenwich Bay! Port of Dubuque Marina, Dubuque, IA (pictured) – Inside the protected Ice Harbor of Dubuque, Iowa on the Mississippi River, Port of Dubuque Marina's 78 transient slips can accommodate boats up to 100 ft, overnight or by the hour. Kenlake Marina, Hardin, KY – Another location that went to town providing guests with information in their Dockwa profile. Click through for things to do, where to eat, when to sail, and more! One Marinas.com review called Kenlake Marina "a nice, clean facility with a friendly owner and staff. ...Beautiful park setting right next to Kenlake State Park Lodge which has great food in the restaurant and clean rooms. This is a nice stop off about halfway down Kentucky Lake from the Dam on the way south to Paris Landing Marina in Tennessee." Cuba Landing Marina, Waverly, TN – Just south of New Johnsonville halfway between Kentucky Dam and Pickwick Dam on the Tennessee River, this scenic spot is a slice of solitude with a service center that will keep your boat humming along on your travels. Perryville Marina, Parsons, TN – Community to the dome at Perryville Marina! From slips and service to RV camp sites, this happy Tennessee River fishing spot keeps guests coming back year after year.